Best of all, it can often be easily retrofitted to upgrade an older system. 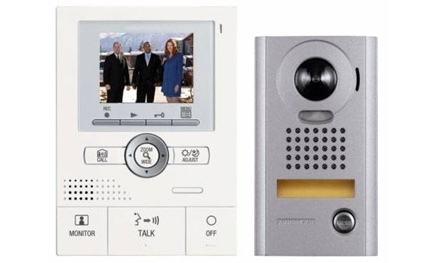 It takes a snapshot photo with a date and time stamp every time someone presses the intercom gate button. It has an easy to set ‘do not disturb’ function that you can set for an hour (for a nap), 8 hours (for overnight) or completely off (when you really don’t want to be disturbed)! It’s simple and easy to operate – you don’t need a pilot’s license just to change a setting. The new remote control app is so useful! The basic system (non IP) is still the same price – supplied and installed retrofit from $1,100.